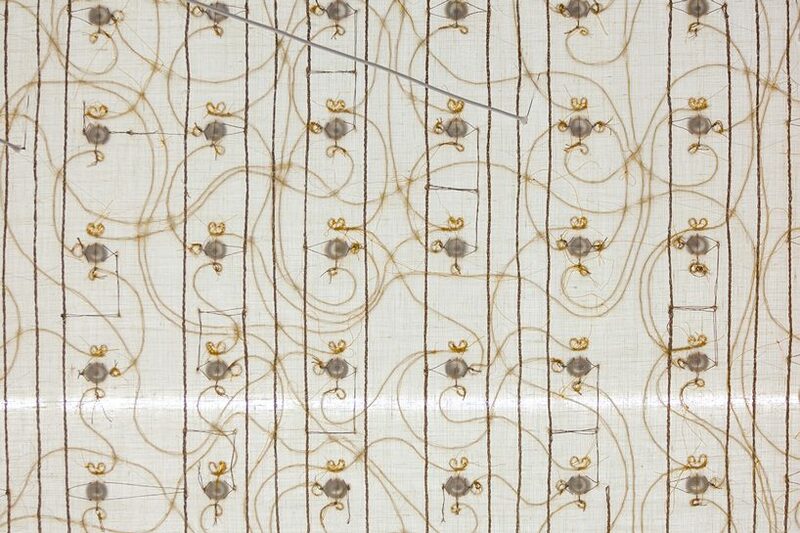 all news and recent projects of embroidered art and design. 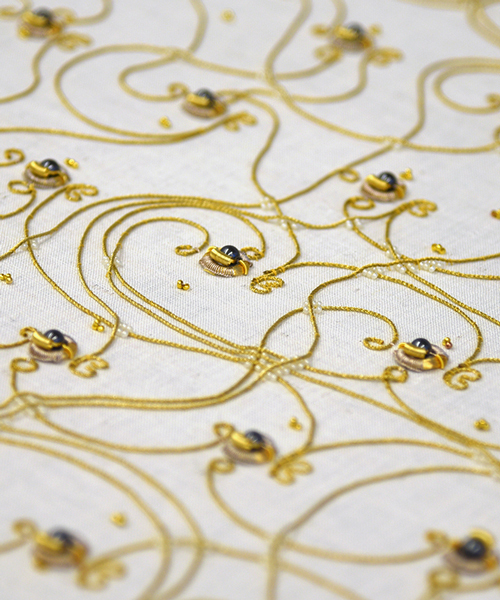 irene posch and ebru kurbak have used historic gold embroidery materials and knowledge to craft a programmable 8 bit computer. 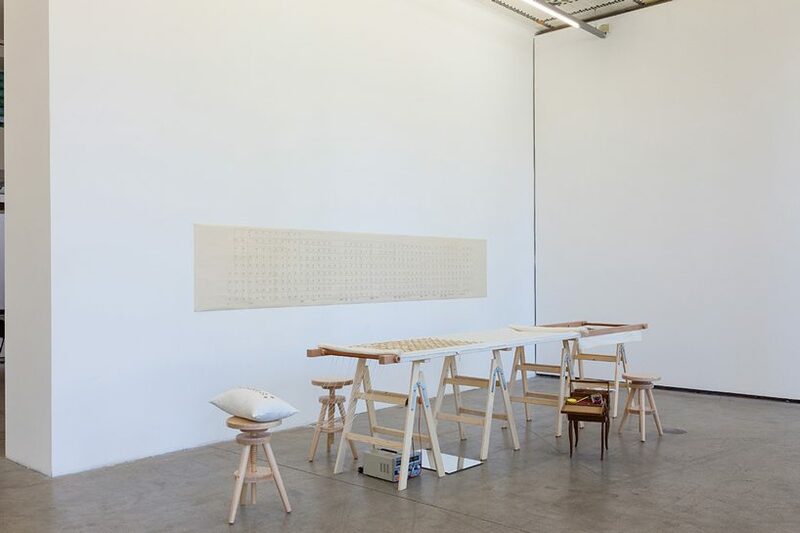 in questioning the current digital and electronic technologies surrounding us the two artists have built the embroidered computer using solely a variety of metal threads, magnetic, glass and metal beads, and traditional crafting routines and patterns. 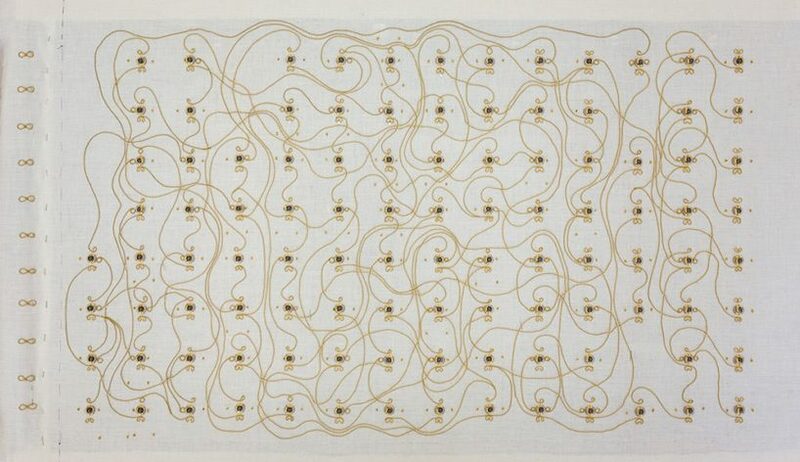 irene posch and ebru kurbak have composed the piece using (textile) relays, similar to those used in early computers before the invention of semiconductors. 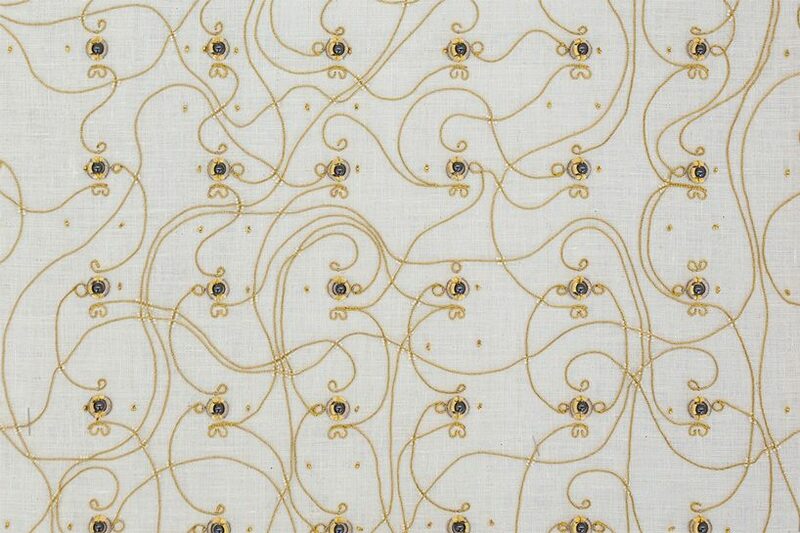 though traditionally purely decorative, here, the gold materials and their pattern are equally practical, as they are used for their conductive properties and specific arrangements that fulfill electronic functions and lay bare core digital routines usually hidden in black boxes. 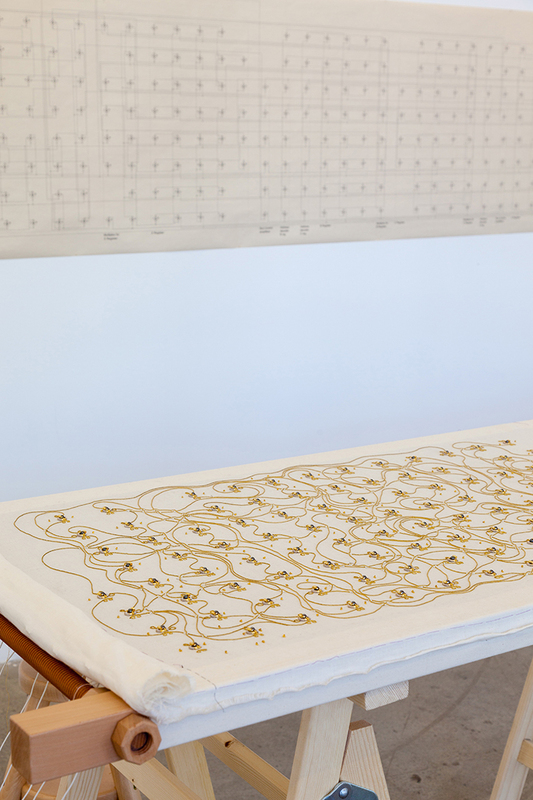 the embroidered computer invites users to interact with it in programming the textile to compute for them.